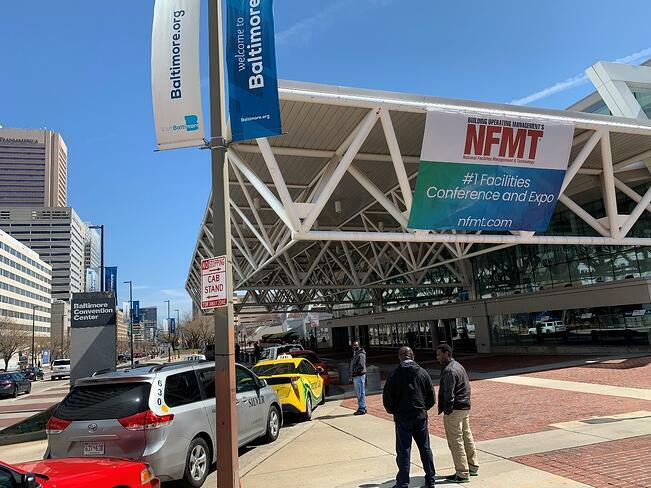 Last week I attended the National Facilities Management & Technology Conference and Exhibition (NFMT) in Baltimore, Maryland. 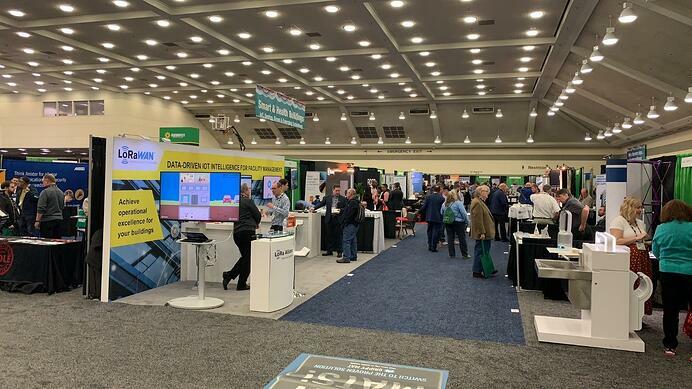 I was quite impressed with the amount of interest generated by the solutions for facilities management being demonstrated at the show based on Semtech’s LoRa® devices and wireless radio frequency technology (LoRa Technology). The LoRa Alliance™ had a strong presence with demonstrations by MachineQ, Microshare, Tektelic, and Semtech. In addition to the LoRa Alliance exhibitors, Haxiot was also on hand in its own booth to demonstrate its solutions. Facilities management is an industry that typically operates on tight margins and is therefore very interested in any solution that can save on supply usage, maintenance or efficient routing of resources. This show marked a departure for both Semtech and the LoRa Alliance since it moved away from the horizontal tradeshows that are IoT-centric. 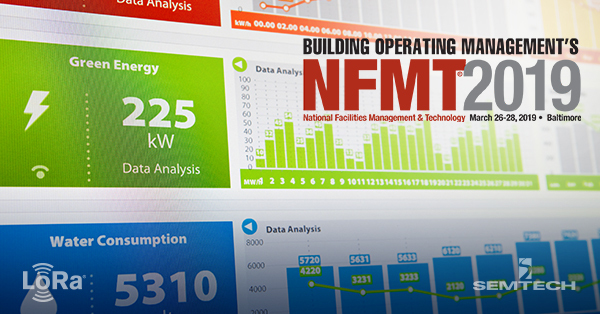 The attendance at the NFMT was the first part of a smart building initiative which will focus on reaching businesses who can leverage LoRa Technology to help make buildings smarter and have less of an impact on the planet’s resources - and save money in the process! What was unique about this experience was our focus on exhibiting complete, ready to go, end-to-end solutions that can be deployed by any type of organization. At the NFMT show, Microshare showcased a complete smart facilities management solution based on the open LoRaWAN™ protocol which included occupancy (desks or meeting rooms), washroom predictive cleaning and environmental monitoring. All of these solutions include the LoRa-based sensors, LoRaWAN-based connectivity and applications ready to be deployed by clients in a few minutes. In the United States, Microshare is partnered with MachineQ, a Comcast company, to provide a managed network service to Microshare’s clients. Another exciting solution demonstration was provided by ecosystem partner Tektelic which has outfitted its office with 50+ sensors collecting data on the following parameters and presents the data in a web portal. All of this is available from Tektelic as an end-to-end solution. Tektelic even demonstrated a LoRaWAN-connected e-ink display as a low cost way to provide immediately updateable information such as conference room availability. As for Semtech, we demonstrated a smart building reference implementation to illustrate how easy it can be to set up and test a LoRa-based application. The demonstration included a LoRaWAN-based gateway, door/window open/close sensors, room and desk occupancy sensors, people counting sensors and more. Everything connected into an online demonstration dashboard to present the data. LoRaWAN-based networks are easy to deploy and maintain. In many applications the sensors must be placed in hard to reach places and the cost of physically visiting the sensor to replace a battery far outweighs the cost of replacing the sensor. LoRaWAN-based networks are also very flexible. Sensors can be multipurpose or used in several different use cases, cutting down on inventory requirements and reducing costs through volume. Also, because LoRa Technology is wireless, it can be deployed in both new construction and during refurbishment, or retrofit into an existing space. Digitizing the workplace has many advantages for inhabitants, businesses and building owners alike. A common use case is to monitor energy consumption, not only to ensure correct billing but also to for conservation. With sensor data, cleaning schedules can be based on actual usage and not just on time of day, additionally providing a digital record of cleaning service. Desk and room occupancy information provide valuable insight into how a space is being used, and can be utilized to reduce lease costs or more efficiently configure a space. Temperature, humidity and audio monitoring data can be collected to improve employee comfort and therefore, productivity. Early detection of leaks prevents downtime for the tenant(s), cost savings for the building owner and enormous benefit to the insurer. The exciting thing is that all these smart building solutions are available from ecosystem partners now! Stay tuned for updates on future smart buildings events and of more end-to-end solutions hitting the market. Learn more about Semtech’s use cases for smart buildings at the link below and see a list of upcoming events.